Alexa can pull in data from Fitbit’s latest activity tracker, the Blaze. Once you activate Fitbit in the Alexa app, you’ll be able to ask questions that pull in your activity-tracking data, like, “Alexa, ask Fitbit how many calories I have left” before you reach for the ice cream in your freezer, or “Alexa, ask Fitbit how I’m doing today” to get a summary of your activity and a push to keep going. She’ll offer different words of encouragement depending on the time of day. If you’re diligent about tracking your food and water intake and logging your weight in the Fitbit app, Alexa can also tell you how much water you’ve had that day and how much you weigh. There are 58 prompts in all, and Alexa can tap data for the entire week, not just the current day. Alexa integration works with all Fitbit models, including the new Blaze and Alta. 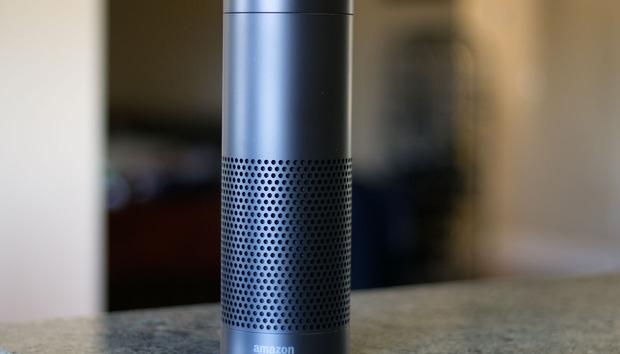 Checking data on the actual device or in the Fitbit app isn’t exactly challenging or time-consuming, but Amazon Echo is all about speed and convenience. What I’m most intrigued by is the potential for Alexa’s future Fitbit-based functionality. “As we look at how this integration could evolve in the future, there is an endless world of possibilities from fitness coaching and nutrition tips, to guidance before bedtime to help you get a more restful night’s sleep,” Tim Roberts, Fitbit’s executive vice president of interactive, said in a press statement. Fitbit is also integrated with Microsoft’s Cortana assistant, so you can log meals with your voice instead of manually in the Fitbit app. That feature isn't yet available for Alexa, so you can't input your food intake by telling her what you ate for dinner. Alexa will never be able to prepare nourishing meals for you or force you to go to the gym, but positive affirmation goes a long way to staying healthy.